It is said that the whale hunting era in the mobile games industry might be over. If so, what’s next? How should businesses change their approach to free-to-play monetisation? Are we reaching the end of the whale hunting era in the mobile games industry? That’s one of the big questions that has emerged off the back of some fascinating research from DeltaDNA, which suggests businesses may need to change their approach to free to play monetisation soon. In a recent blog post on their website, the company revealed a number of intriguing facts from its Games Profitability Index – which has analysed the spending habits of 800 million unique users in over 2500 mobile games during the past three years – that suggested that the practice of targeting high spending users alone is coming to an end. As a whole, DeltaDNA suggests that the average lifetime value of a user has actually declined in the past three years. On iOS, the average player is now spending $29.07 over the course of its lifetime – a decline of 6.58% – while the average Android player spend is down over 17% to $24.37. However, that has been counterbalanced by an overall increase in the amount of players willing to spend in a free to play game. 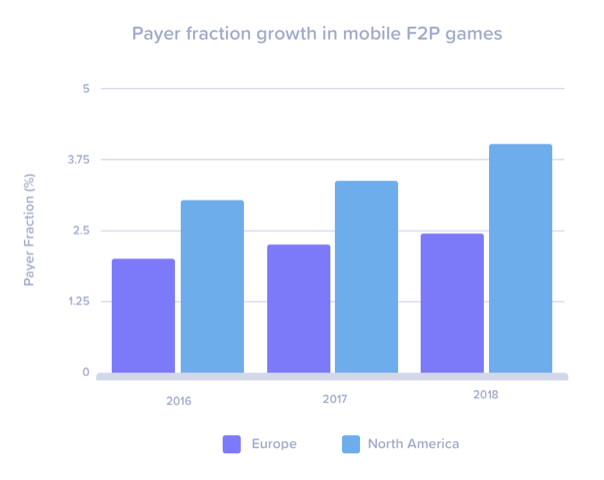 For example, in North America the average amount of players spending in a mobile game in the past three years has increased by a third to 4.02%. And there’s been a 20% increase in spend amongst European players in the same time frame, bringing the average percentage of spenders up to 2.43%. Now, DeltaDNA’s research does indicate that there are specific genres that have won and lost as a result of these shifts. When looking at Average Revenue Per Daily Active User (ARPDAU), puzzle game ARPDAU is up by 25% over the period and strategy games are up by an extraordinary 199%. However, the ARPDAU of action games is significantly down over the same period – decreasing by over 50% during the three year time period. However, it’s the broader picture that developers and publishers should be focusing on. While the profitability, or otherwise, of certain genres could affect business decisions, it’s more important to focus on the broader patterns weaving their way through the sector. In this instance, DeltaDNA’s assertion that whales are becoming less important to the mobile gaming monetization mix appears to be correct. But what exactly does this mean for games businesses? Does it mean they should stop prioritising whales in favour of casting the net wider? The answer for developers and publishers is pretty complex. 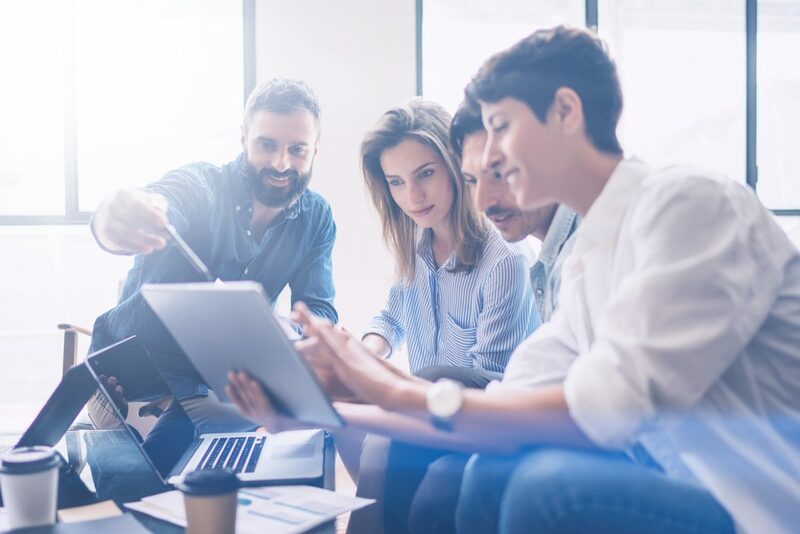 On the one hand, there are a number of compelling reasons beyond simply what quantitative research says to make the shift. The first is that many of the aggressive monetization tactics used to generate income from whales is under attack from government. The banning of loot boxes in Belgium and Netherlands and the erection of barriers for new games to register in the Chinese market come largely off the back of concerns about how these mechanics could link to addiction. This means that companies utilising such approaches need to tone down the aggression or else, like EA, they may find themselves in a legally compromising position. But more than that, there are real benefits to monetisation approaches that offer greater value to a wider pool of players. Fortnite’s subscription style battle pass has helped the game generate hundreds of millions of dollars every month because it empowers lower spending players. 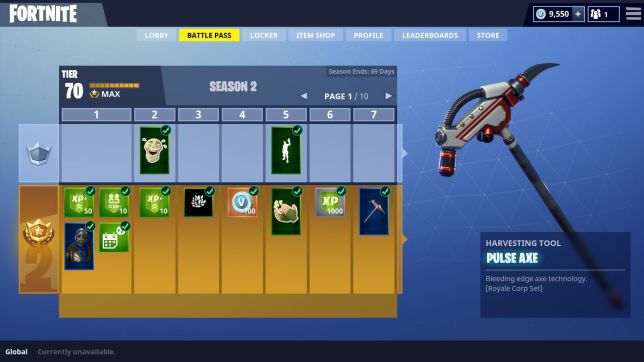 While the Fortnite whales can still buy and spend V Bucks galore to get what they want, players who invest $9.99 into a Battle Pass every three months get vastly more in terms of unlocks from the games than non-spenders. This trade off brings a wider pool of players into the mix, accounting more than enough for a potential decline at the top of the chain. Finally, the general trend in the games industry towards supporting and strengthening communities means that it is in developer and publishers interests to avoid overpowering higher spenders. By shifting the focus from in game items or currencies towards cosmetic unlocks that encourage customisation, companies are better placed to build a healthier base of regular spenders rather than betting the house on the whales alone. However, it’s important that companies don’t throw the baby out with the bathwater on this one. Despite DeltaDNA’s research pointing out that the industry is moving away from over-reliance on a tiny fraction of players, the number of people spending is still small overall. This means that it’s important for developers to remember why engaging whales was important and the principles behind why they spend. The key reason why developers targeted a small group of players is because they were identified as super fans who were willing to spend money in a game regularly because they loved what was on offer. Yes, aggressive monetisation approaches did bring greater income from these players. But it was the intent and their motivation that led them to spend. Therefore, we believe that the age of the whale might be over but that the age of super fandom may be about to start. This means that free to play developers and publishers should prioritise building communities and less aggressive monetisation approaches to benefit from the support of a wider pool of super fans.